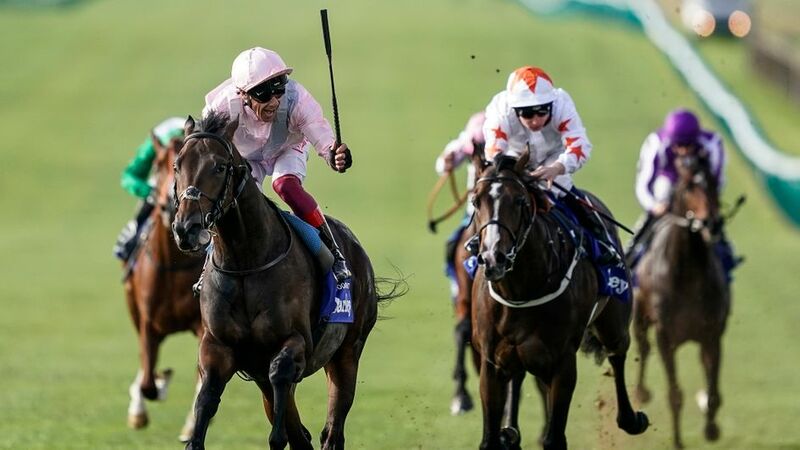 Too Darn Hot lived up to his name in the Darley Dewhurst – how impressed were you with him? I was impressed because it was the first time we’ve had to see him work for a victory. 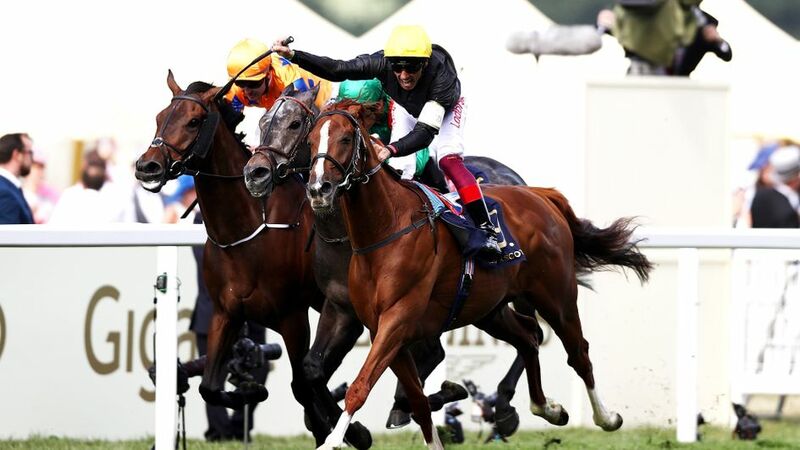 Once he got into the final furlong he really started to stretch and won comfortably in the end with showman Frankie Dettori acknowledging the crowd in the closing stages. 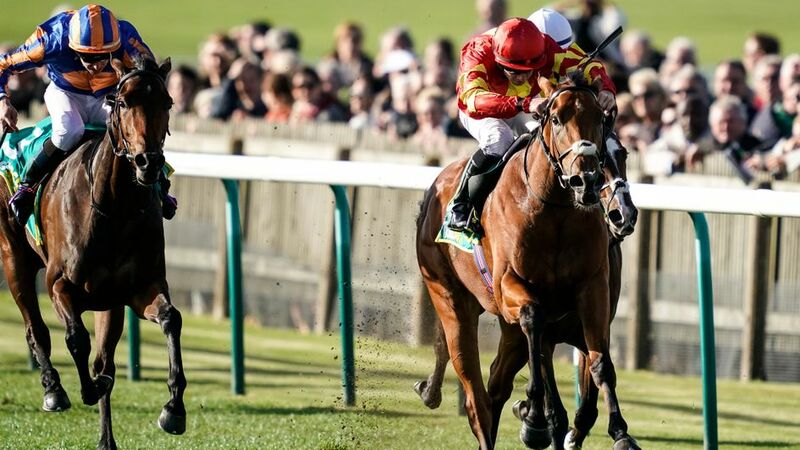 The John Gosden-trained colt is now Sky Bet’s 13/8 favourite for next year’s QIPCO 2000 Guineas and 4/1 market leader for the Investec Derby and whilst that is fully justified, he’s short enough amongst what appears to be a very strong crop of two-year-old colts. I’d be keener to back him ante-post for Epsom than the Guineas given his top class middle-distance pedigree, although slow he aint! Plenty of other notable two-year-old performances at Newmarket – what else took your eye? I think that honour goes to Iridessa, the winner of the Fillies’ Mile on Friday. I really liked the way she had to come through two horses to get to the front as it showed bravery and tenacity; she didn’t shirk the task. Joseph O’Brien is proving to be a remarkable trainer in his own right and it’s incredible she went off a 14/1 shot given that he holds this filly in such high regard. She has a stout pedigree, being by a Derby winner in Ruler Of The World out of an unraced dam that is related to horses that stay well. She’s a 16/1 co-favourite with Sky Bet for the Investec Oaks. 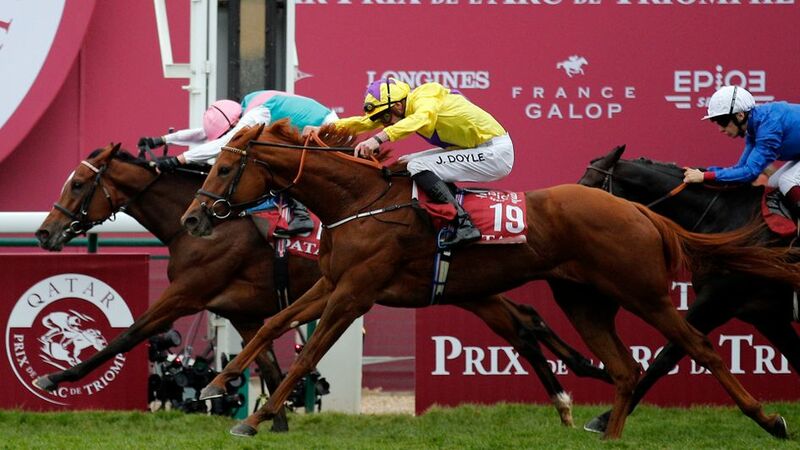 Confirmation Enable heads to the Breeders’ Cup – how excited are you by the prospect? I think it’s great news. To be fair she has hardly had a busy season with injury curtailing her campaign until that reappearance at Kempton in September. John Gosden said in the aftermath of her Arc win that she was only 85% fit, so she’ll have come on for her ParisLongchamp win! Incredible to think that she is capable of winning such a prestigious race when not at her absolute best, so it makes the 4/7 price about her winning the Breeders’ Cup Turf understandable, but not attractive. With a horse like her though, it’s not about the betting, it’s about the privilege of being lucky enough to be around during her career. Like Frankel, we will all be able to say in years to come, that she was one of the best we have ever seen. I haven’t set foot on an aeroplane for ten years, but it makes me want to book a flight to America to see history potentially being made as she bids to become the first Arc winner to go on to Breeders’ Cup glory. 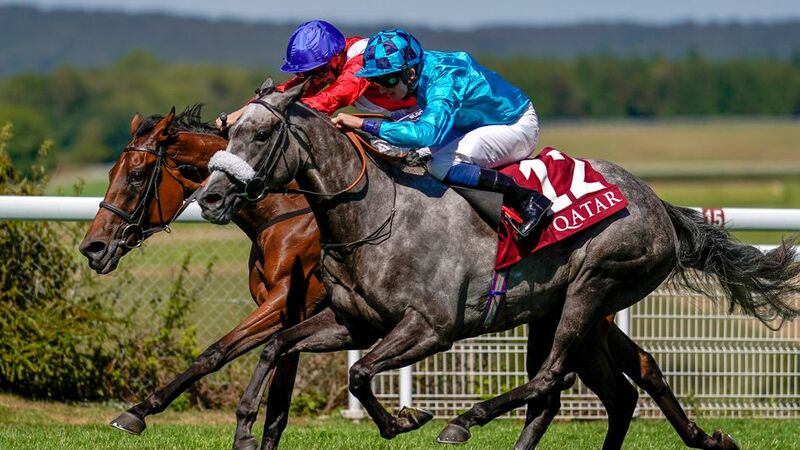 QIPCO Champions Day at Ascot – if you owned Roaring Lion which race would you run him in? It all depends on what the ground will be like, although you can make an educated guess that it’s going to be slow, dead ground. At the time of writing (Wednesday) the ground is a mixture of soft/heavy and with a dry forecast it won’t deteriorate. Like the rest of the country, they had plenty of rain at Ascot on Sunday and what will happen is that the ground won’t dry out significantly due to heavy overnight dews at this time of year and it will be reasonably ‘gluey’. The good news is that the forecast is decent for Saturday, so it should be a lovely day. If I was John Gosden, I’d be keen to separate the duo. However, they are owned by two different people who will each possibly want to run in the QIPCO Champion Stakes. Cracksman will enjoy the ground and defends his crown in the feature race for which he is 10/11 favourite with Sky Bet. Roaring Lion is 11/2 third favourite for the ten furlong ontest. The latter hasn’t run over the mile trip that he would face in the Queen Elizabeth II Stakes since his fifth place in the QIPCO 2000 Guineas. I’m not sure really soft ground will suit him as much as Cracksman as he moves very well and that could be more of a problem than the trip. It’s tough isn’t it? I reckon with Cracksman in the Champion Stakes, I’d run in the QEII and hope that he handles the ground. It will turn it into more of a stamina test and that will help him. He’s 11/4 favourite for the race with Sky Bet. What are your best bets on the star-studded card? Crikey, where to start? John Gosden could have a very good day couldn’t he as not only does he have the two aforementioned protagonists, but also Stradivarius in the Long Distance Cup. I’m not convinced about him on soft ground though and he will have to be vastly superior to the rest if he’s to gain his first win on the surface. He was third in this race last year, but he has improved since then. I won’t be lumping on at 10/11 though and will wait to see what Aidan O’Brien declares. I really like The Tin Man and hope he can win the Champions Sprint. He’s 11/4 favourite to finish his season with a flourish having won the Sprint Cup at Haydock under new jockey Oisin Murphy last time out. John Gosden has the chance of another winner in the Fillies and Mares as he is strongly represented with Coronet and St Leger runner up Lah Ti Dar. I think it may be worth taking a chance on Pilaster though at the prices. Roger Varian’s filly is 10/1 with Sky Bet and was possibly a bit unlucky not to win the Park Hill at Doncaster’s St Leger meeting, as the race wasn’t run to suit. She’s lightly raced and hopefully improving, which she needs to be in such hot company. I’m watching to see where Williams Haggas runs Addeybb. He is in both the QEII and Champion Stakes and I’ll have a pound each way on him in whichever race he turns up in. He’s a horse I’ve followed all season and was disappointed that he didn’t run at ParisLongchamp earlier this month. The ground at Ascot will be ideal and I guess the QEII over a mile is the most obvious destination for which he’s 6/1, but I wouldn’t be afraid to run in the Champion Stakes over an extra couple of furlongs just in case the headgear doesn’t light Cracksman up in that one. I wouldn’t be afraid of one horse, especially after Cracksman’s effort in the Prince Of Wales’s Stakes (when a laboured second) and Addeybb is a cracking price at 16/1 for the QIPCO British Champions Day feature.